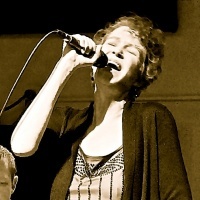 Diana Leigh & the Shorty Georges is an exciting jazz and swing-dance band. Combining world-class musicianship with sensational arrangements of classic songs, they will get you dancing! In addition to Diana's sweet and sultry vocals, the band features Jesse Collins on alto saxophone. Jesse also writes the arrangements, and together they create a great musical energy! Diana Leigh Trio: with Jesse Collins on saxophone. Small combo jazz in an intimate yet complex presentation. Classy and elegant. Jesse's playing is superb and with Diana's pure singing they create depth and richness.